Dr. Wily is behind bars, the Robot Masters have been re-reprogrammed to their original state, and the clean up and reconstruction of the city has begun. That is until Dr. Wily and two new Robot Masters begin to threaten the city again. 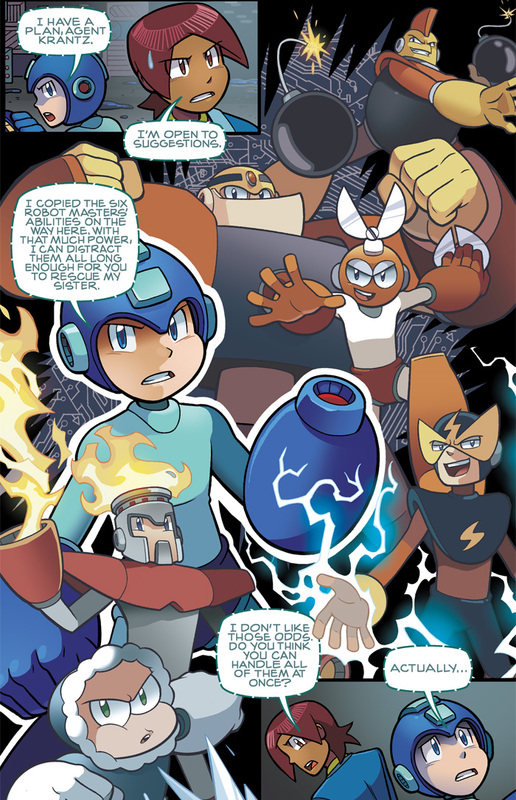 With pesky federal agent watching their every move, and new foes that have the power of time on their side, Mega Man, Dr. Light, and Roll may be in over their heads! 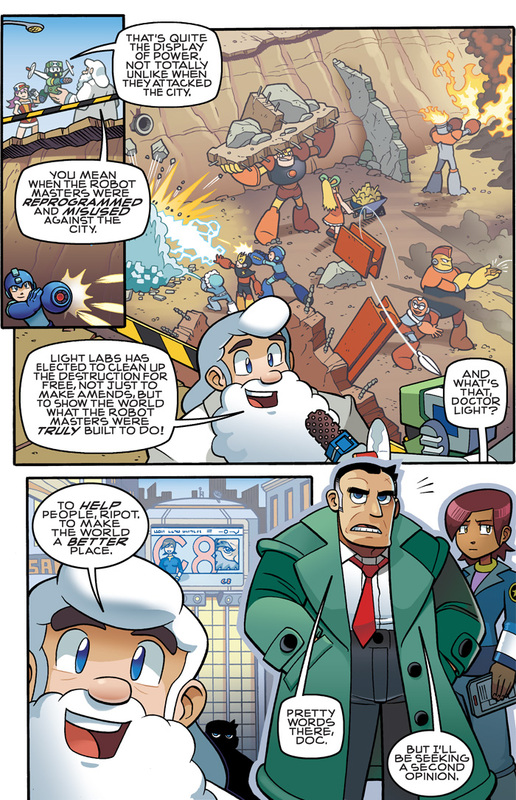 Mega Man and the Robot Masters are having a great time reconstructing the city that was destroyed in the wake of Dr. Wily’s uprising. And with the mad doctor in jail, things seem to be finally shaping into the future Dr. Light wanted: one where humans and robots coexist peacefully. 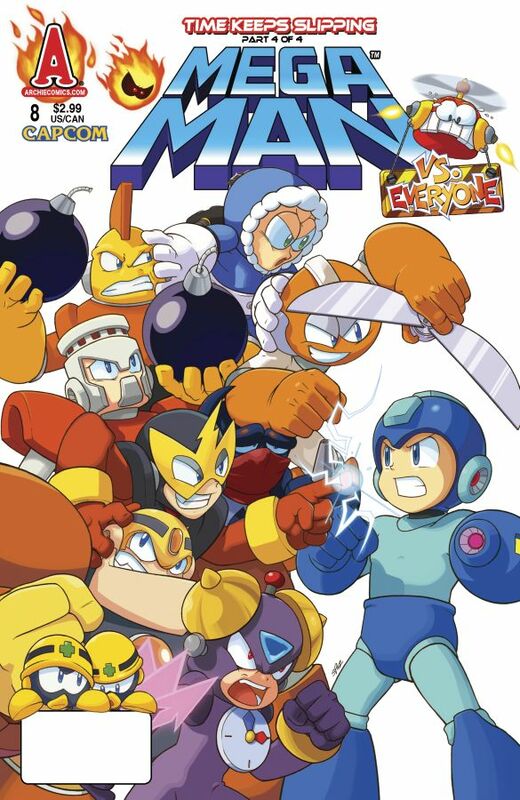 Leave it to Dr. Wily though to plan a spring while behind bars, as two new Robot Masters, Time Man and Oil Man, bring their unique abilities to the table and start to wreck havoc in the name of Wily yet again! 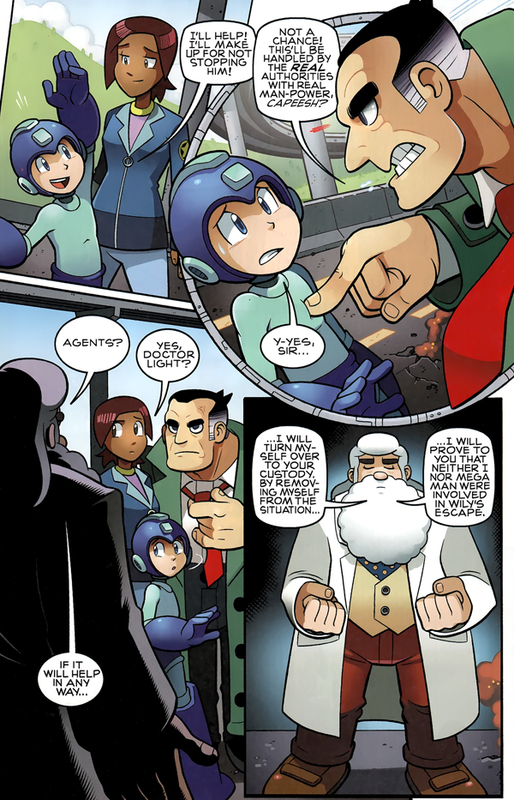 Dr. Wily has escaped and Agent Stern believe Mega Man and Dr. Light to be behind it. 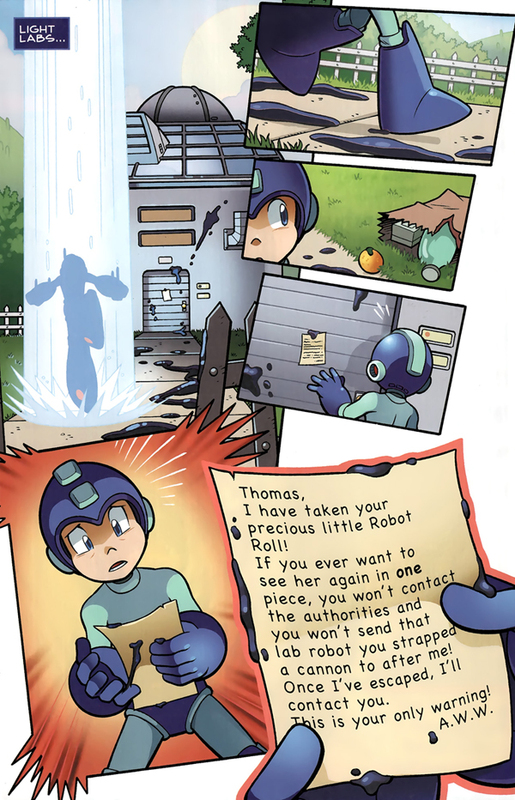 To prove his innocence, Dr. Light allows himself to be turned over to the police, so Mega Man can venture forth and stop the real culprit. 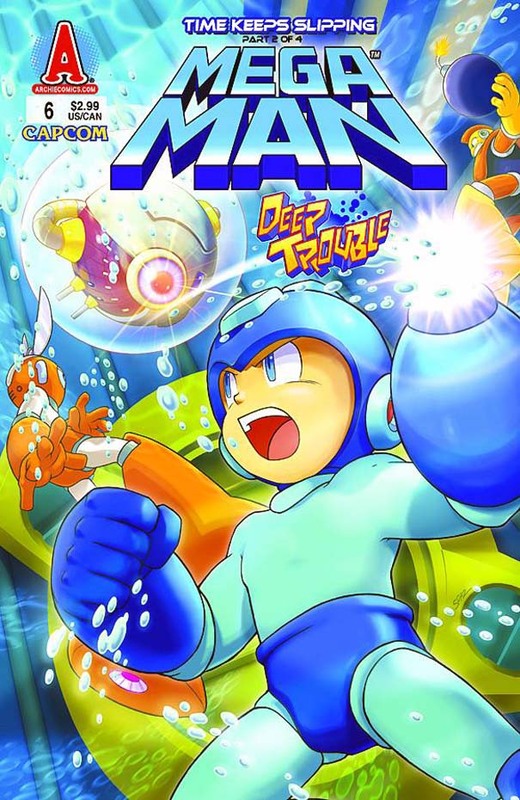 Before long, Mega Man realizes Roll has been kidnapped as well, and with the help of Ice Man and Cut Man decides to infiltrate Dr. Wily’s fortress in search of clues. 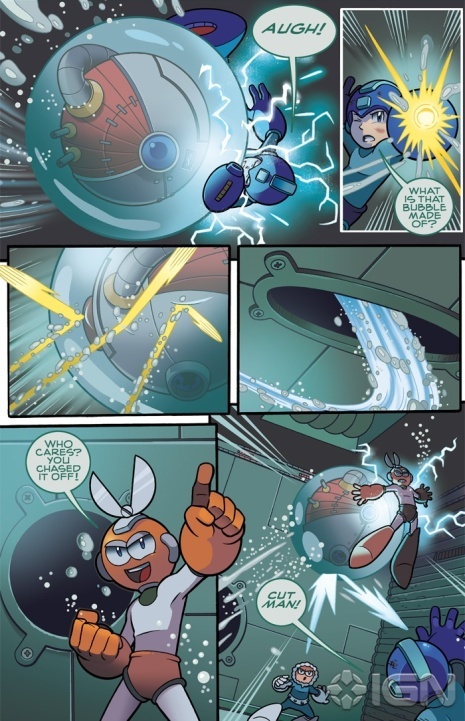 You just know Wily has traps set up for the Blue Bomber, but those are the dangers Mega Man and crew must overcome to stop the madman yet again. Coming up empty handed from searching Dr. Wily’s fortress, Mega Man and company regroup with Agent Krantz and the rest of the Robot Masters. With some intel given by Dr. Light, Mega Man, Agent Krantz, and all six Robot Masters travel to a location that Wily may be hiding out in. Even with their combined powers, Wily’s genius and Time Man and Oil Man’s abilities may prove to be too much to handle. 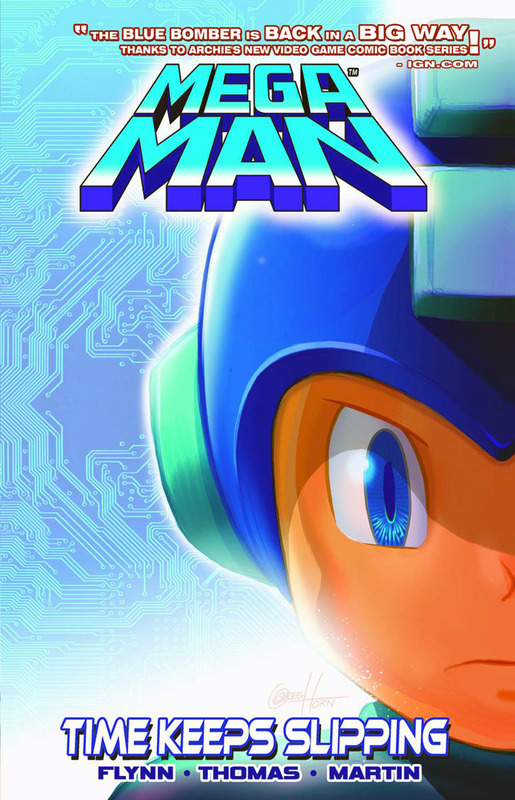 The battle has begun, as Mega Man has to face off not only against Time Man and Oil Man, but supposedly all six reprogrammed original Robot Masters as well! Yeesh! 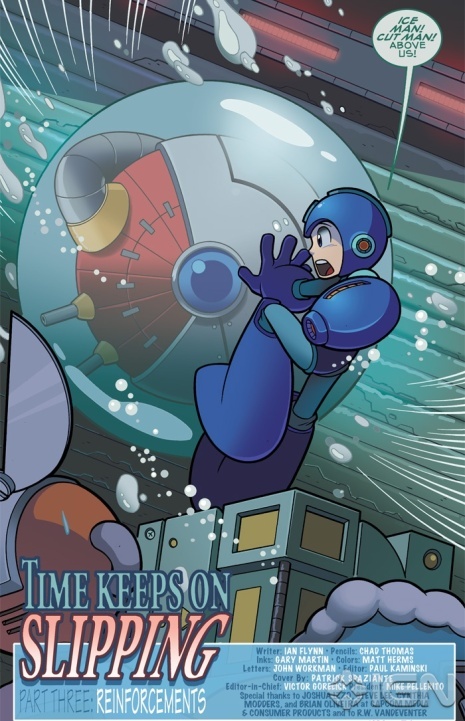 Agent Krantz and Mega Man team up to take down Wily and his evil hench-robots in the conclusion of the Time Keeps Slipping storyline. “Short Circuits” are funny, one-shot comics that are included with each issue. 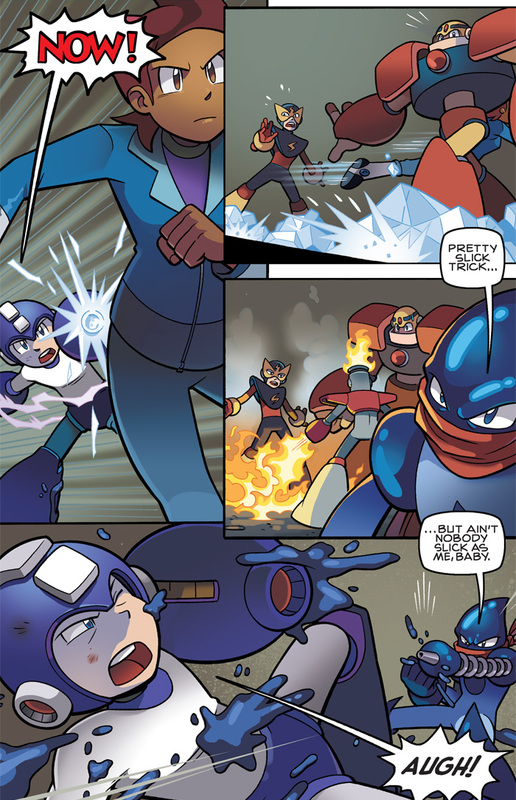 Taking up a few panel and fitting on just one page, each “Short Circuit” tells one or two lighthearted jokes, often relating to Mega Man lore or fandom. Issue #5: Proto Man reads the script of past issues and thinks he’s in the issue only to be disappointed. Issue #7: Agent Stern’s history of disliking technology, even a toaster, is detailed. Issue #8: Oil Man is eating with Roll and makes a bad joke. Mega Man Volume 2: Time Keeps Slipping is an entirely original story in the Mega Man universe, and it’s a pretty good one. 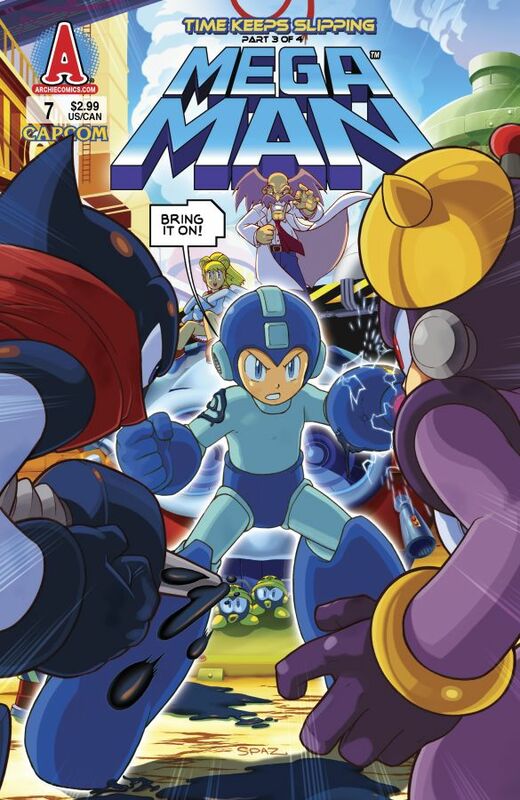 I liked the incorporation of Mega Man: Powered Up characters and elements, especially coming off of the last volume which told the story of the original Mega Man. 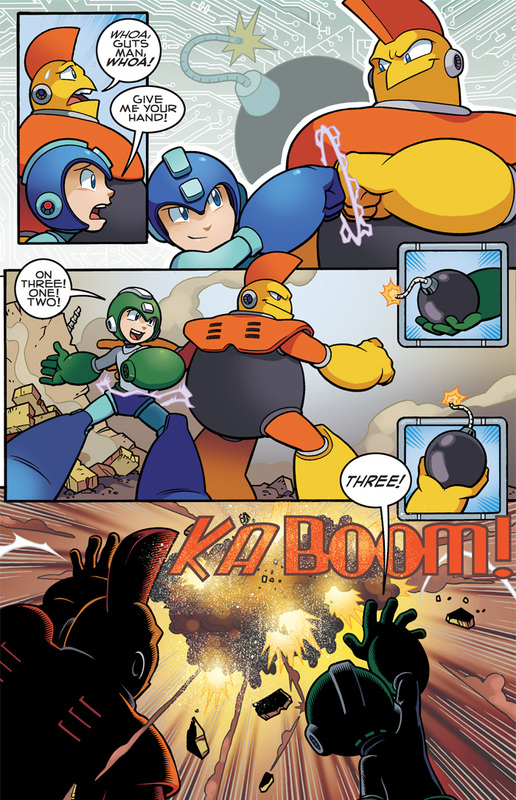 Again, the color and animation steal the show; though the pencils were done by different artist than the first volume, they still completely capture the look and feel of the Mega Man world. Instead of simply moving on from the original six Robot Masters, they all have roles in this story and I really liked that. They are cool characters with neat powers and deserve to be in the spotlight more than just one volume. The bonuses included with this volume, like the variant art covers, concept sketches, and especially the script and penciled pages are great additions that let us peer into the comic creation process, albeit a tiny portion. 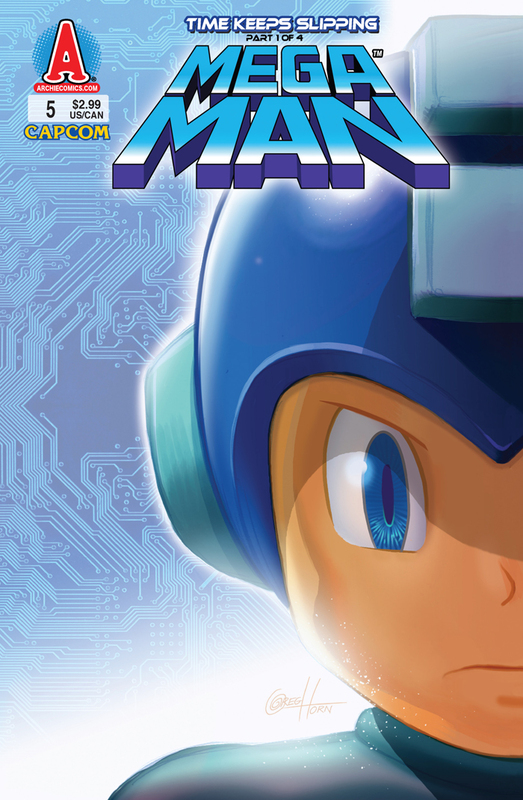 Overall this is another solid adventure for Mega Man and pals, and only leaves you (and me!) wanting much, much more. Buy Time Keeps Slipping from Amazon!